Wednesday I was a part of the Island Batik Blog Hop for their new Elementz line on my own blog! You can find the other hoppers joining in at the bottom of this post, so make sure you read them all (they may have their own giveaways)! I was asked by Tamarinis to create something pixelated for her next line of fabrics with Island Batiks. Why pixelated? Because I am a pixel quilter! I specialize in video game, pop culture and comic book quilts so took a look at her line of fabrics to get inspiration. I was immediately drawn to these two fabrics because it reminds me of the Triforce from Legend of Zelda. So I turned to my business partner for a design and got to work creating the quilt and pattern. I live streamed the entire process (including messing up the directional fabric) on my Twitch stream. The finished pattern and quilt turned out great! To order the pattern for yourself, just click on it above. Now for GIVEAWAYS! Yes, we have giveaways. First up is the Blog Hop Giveaway. Win an Elementz Fabric Bundle!!! Just click here and follow the steps to enter. Next up is my own giveaway. I am also giving away a bundle of fat eighths of every Elementz fabric in the line along with an assortment of my quilt patterns (including the Triforce inspiration). Just head over to my contest page and follow the steps to enter. Drawing will take place next Wednesday March 7! Make sure you enter both giveaways! Now on to the hoppers! 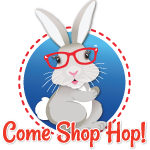 Have you discovered the Fab Hop Shop yet? The concept behind our virtual shop hop is exactly the same as taking a fabric shopping trip by car. On our “virtual” shop hop, however, you’ll leave the car in the garage and can even shop in your jammies! You will have a month to get around to over 100 of the sites to find the “YouFoundIt” Bunnies to qualify to win prizes. There are 12 hops scheduled for 2018. 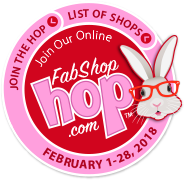 Tour all the shops participating in the February FabShop Hop!At each site, search for the white bunny with the red and pink background that says ‘You Found It!’ February 1-28, 2018. When you find it; click on the image and complete the prize registration page – enter your email address and click the “register for prizes” button. Once you have done that you will receive an email confirmation that you successfully registered at that site. Then continue shopping on that site or hop to the next one on the List of Shops. The best part of the Shop Hop other than winning prizes? 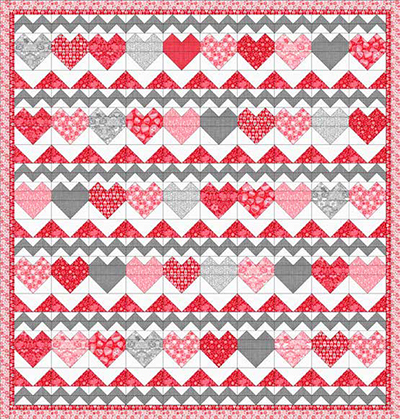 The free quilt patterns! Wyrmwood is back with another Kickstarter! The Adventurer’s Arsenal is the latest modular tabletop gaming system from Wyrmwood, and we designed it to be the perfect companion for players of role playing games. All three components of the Adventurer’s Arsenal are available in our beautiful line of domestic and exotic hardwoods, with pricing determined by your wood selection. Want to see more? Head over to their Kickstarter to take a look! Today’s feature is on the Sorta-Clear Series. into SORTA-Clear™ silicone without application of a release agent. Want to see how it works? Smooth On has a tutorial on how to create a one piece silicone mold using Sorta Clear® 12. Hi! This is written by Paul from Woodworkboss who is the guest blogger today. If you’re a novice wood worker, you might be looking for a few easy projects to hone some of your basic skills, so you can then move onto more advanced projects. There are numerous projects that you can start with that you do fairly inexpensively by using scrap wood. 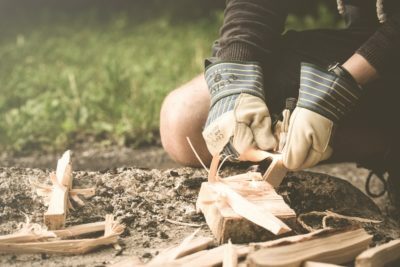 Here are ten projects that can be completed within a day or even a few hours, that will help you practice your skills, and only require scrap wood and the tools that you will need to invest in to move onto larger and more complex projects. If you have some old crown molding lying around, you can make wooden wall hooks by painting or staining them and attaching hooks. With this project, you’ll can practice drilling and using a power sander. As the end result, you’ll have a fun place to hang your coats, hats, and scarves in your entryway. With a couple of 2X4s, some scraps, a few screws, and the help of a miter saw, you can make a stool that will help children reach the sink to brush their teeth and wash their hands in the bathroom or kitchen. As always, don’t forget safety when dealing with saws and remember to use safety goggles. This is a great project for learning how to cut with a miter saw and make fairly simple schematics for the project. A miter saw might be helpful for this project, too. If you choose to make shelves that require 45 degree angle cuts, you will learn how to use your miter saw’s capabilities for cutting other than 90 degree angles. You will also learn how to fit corners snuggly. Decorations for the home can become expensive, but if you learn to make wall decorations, such as a wood snowflake using reclaimed wood, you can have a project that you can proudly display, at a fraction of the cost. This project will also help you visualize a complete project, but it’s nice for beginners because the angles don’t have to fit snugly together. There are countless projects that you can create just by recycling pallet wood. An end table made from an old pallet is just one of many. Using exclusively 90 degree angle cuts, this project is easier than it looks, but it also gives the maker practice is creating a sturdy design. For projects two through four, you can check them out here. The nice thing about scrap wood is, if you make a mistake, you can try again at a low cost. A drum, due to its circular shape, will require you to make 45 degree angle cuts for the top, but the bottom is simple, straight lines. With a few pieces of multi-colored wood, a miter saw, a hand or electrical planer, a sander, and some wood glue, you can make a beautiful cutting board. Photos and more detailed directions for ideas six and seven are here. Many plants, such as cucumber, need a trellis to expand and grow on. This is a greatly useful and super easy way to use your scrap wood. Attach some mesh wire to the frame with a staple gun and your plants are ready to grow. This is a very popular project, because it only requires a small amount of wood. You can create them in simple square shapes or get fancy with sanding and shaping and make them into hearts. This is a really fun project, and it only requires some scrap wood and some old silverware. Photos for projects eight through ten are here. There are countless ways that you can use old scrap wood to make items that are fun, beautiful, and useful. 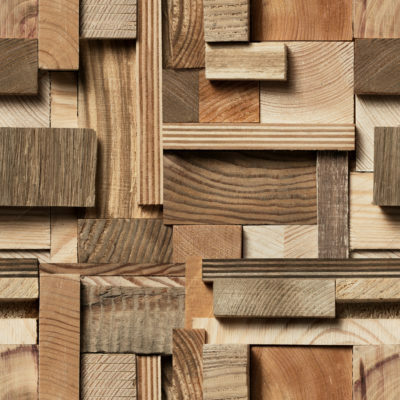 Seamless texture of wooden blocks in collage background.